Cranes can be seen hard at work in big cities every day. 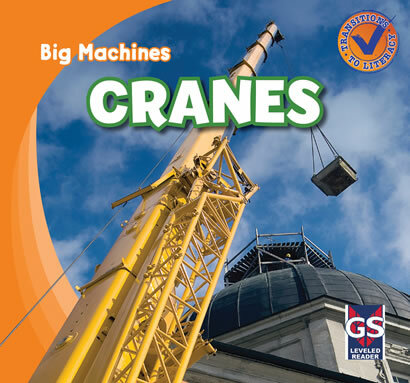 There are many different sizes and types of cranes that are each tailored for a specific, and very important, job. With the help of easy-to-follow text, beginning readers learn about the many different kinds of cranes--from ones that stand tall to ones that can fly. Detailed pictures show these various cranes on the job in a way that makes learning about machines fascinating and fun.